psacct or acct both are open source application for monitoring users activities on the system. These applications runs in the background and keeps track of each users activity on your system as well as what resources are being consumed. I personally used this program in our company, we have development team where our developers continuously work on servers. So, this is one of best program to keep a eye on them. This program provides an excellent way to monitor what users are doing, what commands are they firing, how much resources are being consumed by them, how long users are active on the system. Another great feature of this program is it gives total resources consumed by services like Apache, MySQL, FTP,SSH etc. I think this is one of the great and must needed application for every Linux/Unix System Administrators, who wanted to keep a track of user activities on their servers/systems. The psacct or acct package provides several features for monitoring process activities. ac command prints the statistics of user logins/logouts (connect time) in hours. lastcomm command prints the information of previously executed commands of user. accton commands is used to turn on/off process for accounting. sa command summarizes information of previously executed commands. last and lastb commands show listing of last logged in users. psacct or acct both are similar packages and there is not much difference between them, but the psacct package only available for rpm based distributions such as RHEL, CentOS and Fedora, whereas acct package available for distributions like Ubuntu, Debian and Linux Mint. To install psacct package under rpm based distributions issue the following yum command. To install acct package using apt-get command under Ubuntu / Debian / Linux Mint. By default psacct service is in disabled mode and you need to start it manually under RHEL/CentOS/Fedora systems. Use the following command to check the status of service. You see the status showing as disabled, so let’s start it manually using the following both commands. These two commands will create a /var/account/pacct file and start services. After starting service, check the status again, you will get status as enabled as shown below. Under Ubuntu, Debian and Mint service is started automatically, you don’t need to start it again. ac command without specifying any argument will displays total statistics of connect time in hours based on the user logins/logouts from the current wtmp file. Using command “ac -d” will prints out the total login time in hours by day-wise. Using command “ac -p” will print the total login time of each user in hours. To get the total login statistics time of user “tecmint” in hours, use the command as. The following command will prints the day-wise total login time of user “tecmint” in hours. The “sa” command is used to print the summary of commands that were executed by users. To get the information of individual user, use the options -u. 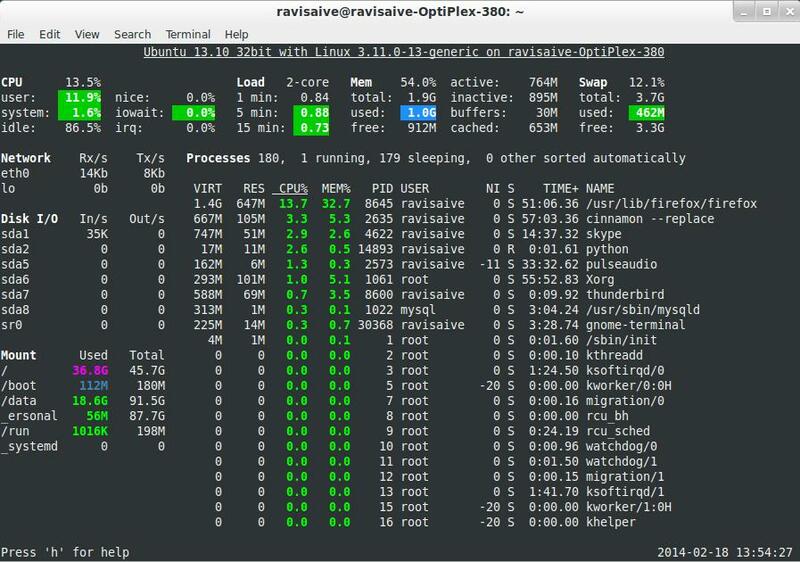 This command prints the total number of processes and CPU minutes. If you see continue increase in these numbers, then its time to look into the system about what is happening. The command “sa -c” displays the highest percentage of users. The ‘latcomm‘ command is used to search and display previously executed user commands information. You can also search commands of individual usernames. For example, we see commands of user (tecmint). With the help of the lastcomm command you will be able to view individual use of an each commands. I am very new to linux administration. but I do not get any mention for the command “history” that I ran to test. Is there something I am doing wrong? In our server all users get login in root through SSH. So how I can identify which commands are executed by particular user? By using “last -F” I got login details in IPADDR & by using “lastcomm” I am getting all executed commands, but still not getting users own history. Please suggest to monitors specific users history in this scenario. You can find all users commands history under /home/user_name/.bash_history file, you can use find or grep command to list the history of all users.. Thanks for your reply. but here we have only 2 users first login into admin after switch user to root. All our operations team members are working in root administrator account. So in that case I want to found in root only which member have executed the commands in root bash_history. I think you didn’t got my question. Can I repeat? How to view process logs with it. Please i will like to ask a question, the sa -u command does not specify which date the result produced is meant for, is it daily or monthly?